It's difficult to say that Cyantific hasn't been near the center of the drum & bass world for the past ten years. After the then-duo released their first single way back in 2002, Cyantific has come out with a full-length on one of the biggest labels in all of electronic music at the time (Hospital Records), won an award for biggest breakthrough DJ, gone through a split that left Jon Stanley, half of the duo, to continue the Cyantific production alone, hopped around big-name labels like Ram Records in the hopes of finding a more permanent home, and recently solved the above problem by founding their own label that has seen releases from genre stalwarts like Logistics as well as up-and-coming talents like Dimension. And the producers deserve the attention: huge tracks like "Little Green Men," "Timescape," and "Ghetto Blaster" are modern classics of sorts, and the experimental style that Cyantific is known for has taken center stage in the drum & bass world as of the past few years. Cyantific have ridden on a steady wave of successful releases and DJ sets, and Stanley has kept up the sound he's known for in a way that shows his mastery over his genre, even without the help of Matt Whitehead (the other half of the duo). At this point in his career, Stanley is flexing his creative muscle, sometimes stepping away from the standard double-time breaks of most drum & bass. His remix of The Resonators' "Sweet Love Affair" demonstrates the versatility of the Cyantific sound and sets expectations high for what's to come in the Cyantific catalogue, as it's difficult to accuse him of "playing it safe." 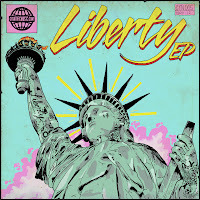 Cyantific's Liberty EP proves that those expectations were warranted, as Stanley has created an expertly crafted four-track sampling of the part of the electronic world in which he resides. He demonstrates his mastery of the rave on every song on the release, no matter with which style or tempo he's working. The EP opener, "Streets Of Rave," is built on a staple '90s-style breakbeat framework - complete with splashy cymbals and Amen breaks galore - that evokes nostalgia for an era dominated by vinyl and upbeat breaks. The rest of the piece helps to further that feeling with bleepy, nasally synths, an old-school hip-hop sample, wobbles reminiscent of the biggest names of the big beat movement, and a "whoo-hoo" vocal clip that's woven in flawlessly with the song. "Streets Of Rave (Bonus Round)" turns the clock back even further by reworking the song into a house tune that sounds like it's straight out of the late '80s, utilizing a funk bassline and scratches over a straight four-on-the-floor beat to cut up "Streets Of Rave" so that almost all that's left are the vocal samples and basic melody. And while two variations of the same song on an EP that's already only four tracks long would normally make a listener feel like he'd be getting short-changed, Cyantific's reconfiguring of the original does more than just put a different beat over an already-completed song. Stanley has changed the atmosphere of "Streets Of Rave" immensely, and it doesn't feel at all like Cyantific is cutting corners with the "bonus round." When Stanley works with the more familiar genre of drum & bass, his songs shine just as much (if not more) than they do when they're at a slower tempo. The production on the second half of Liberty shines, without even a hint of shakiness anywhere to be found. "The Tomorrow People" is made for the dancefloor, yes, but it's especially constructed for a more cultured dancefloor than most of the electronic scene is used to. It's repetitive and danceable yet exquisitely crafted and even subtle at times. Cyantific employs a blunted, almost cheeky-sounding sawtoothed wobble and quietly blaring synths to great effect, especially in conjunction with a clean 175 BPM beat, an up-tempo bassline, and the occasional clinking high synth line to complement the wobbles. Meanwhile, "Walking Away" takes on another face of the rave-worthy drum & bass spectrum. Its soul-esque crooning vocal sample (singing the title) is matched up with fast drums, an almost organ-like low end, and shimmering melodic chords in the upper register. It's the weakest song on the EP by virtue of how it just sounds a bit too "standard" for a Cyantific tune, but it's a solid song nonetheless thanks to Stanley's experience and production skills. The only thing that's really unfortunate about Liberty is its length. Clocking in at under 20 minutes, the EP feels more like a teaser of a possible full-length to come rather than a full-fledged release of its own. Although it's not a bad thing that this wasn't an album with an EP's worth of good songs, it just feels a little bit short to stand on its own. It's also true, though, that short releases are typical in an electronic world full of singles and EPs that are made to fit on vinyl, so Cyantific seems to be playing in to that idea with this release. 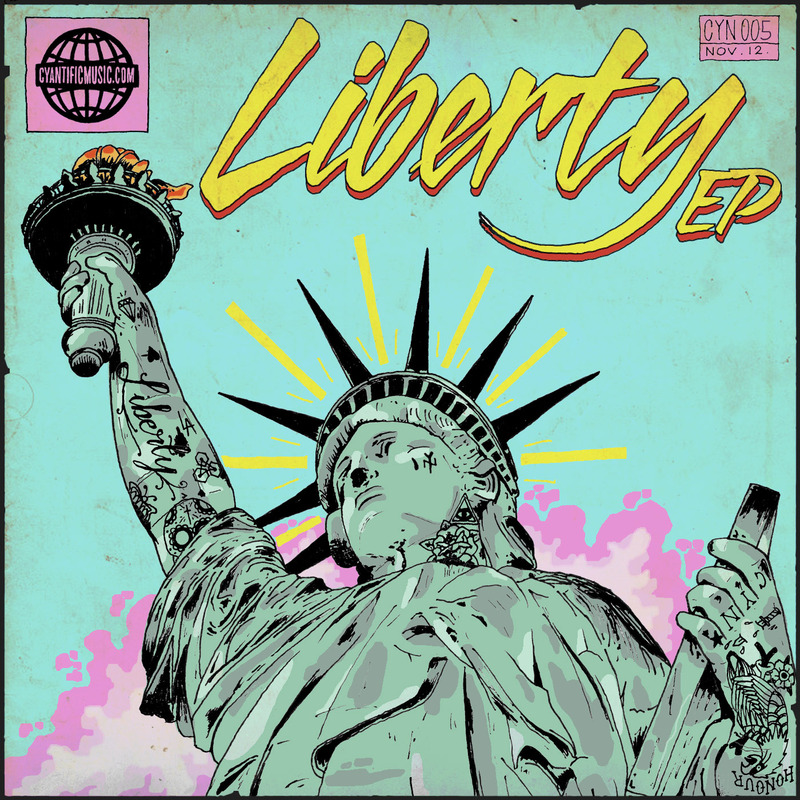 And even though it only has four songs to its name, Liberty is still a stellar EP. Stanley has really proven that even after ten years Cyantific still has the creative juices needed to pump out solid releases, and on Liberty he's not pulling back from his standards.